Vote Teddy's for Best of Honolulu 2011! Help us continue the Teddy’s tradition of being voted among the Best of Hawaii! Honolulu Magazine is now accepting votes for the 2011 Best of HONOLULU. The winners will be highlighted in the March 2011 issue of Honolulu Magazine. 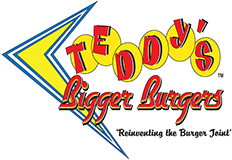 You can vote for Teddy’s in the Best Burger category by visiting http://www.honolulumagazine.com/bestofballot/. Complete your ballot by November 30, 2010 and have a chance to win a $250 gift card, good for shopping, dining, and entertainment at Ala Moana Center.